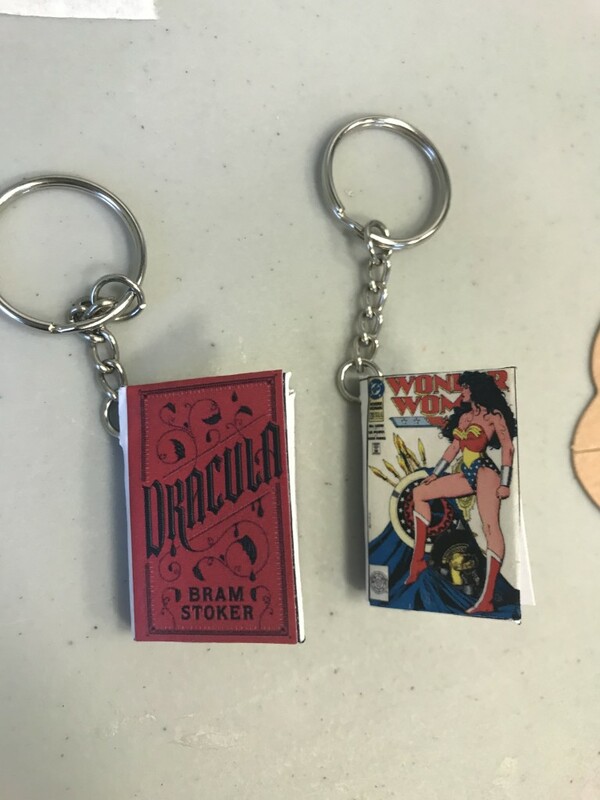 Janelle makes Dracula and Wonder Woman keychains during our Book Jewelry Workshop. We turned our favorite books into our favorite looks earlier this month at our Lake Branch. 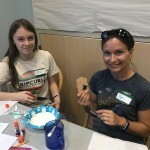 Teens and adults made necklaces, earrings and keychains. 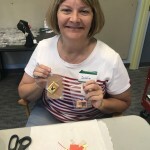 By the way, if you enjoy crafting, check out our Craft for a Cause Club. Each month, we knit and crochet squares and blankets for charities that help bring comfort and warmth to our community. Knowing how to knit or crochet is helpful, but not necessary to participate. Our next get-together is 6 p.m. on Monday, Aug. 27, at our Mentor-on-the-Lake Branch. 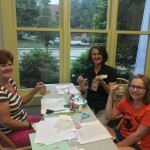 This entry was posted in Uncategorized and tagged craft, crafts, Mentor Public Library, Mentor-on-the-Lake Branch. Bookmark the permalink.